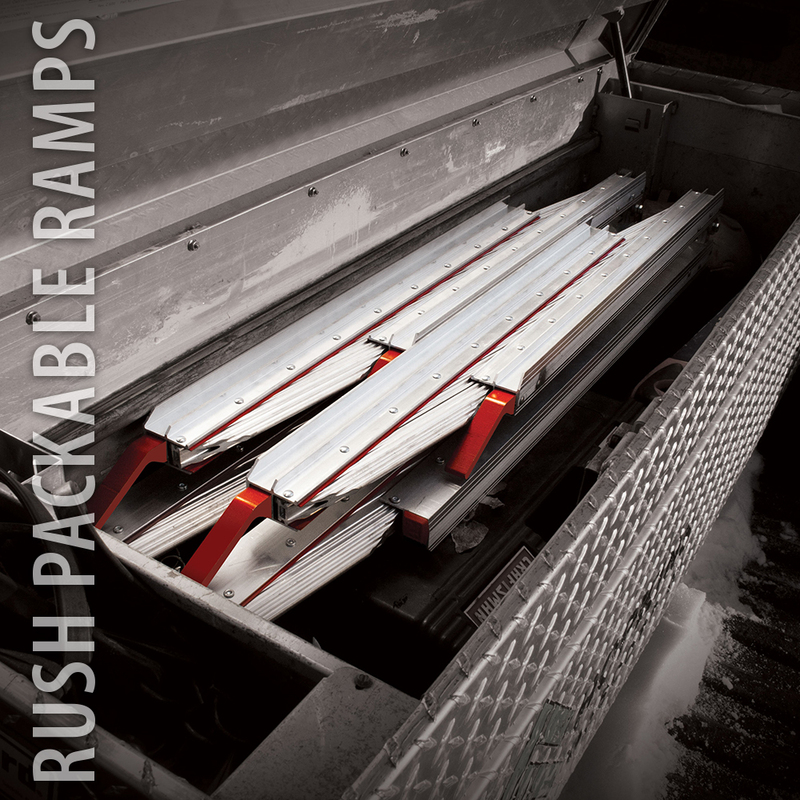 A true innovation in loading ramp technology, RUSH Packable Ramps feature a double-hinged design that collapses into a compact, easily stowable size. This allows them to be stored in smaller and tighter areas than any other ramp on the market, such as inside your truck’s cabin or even in a bed box. 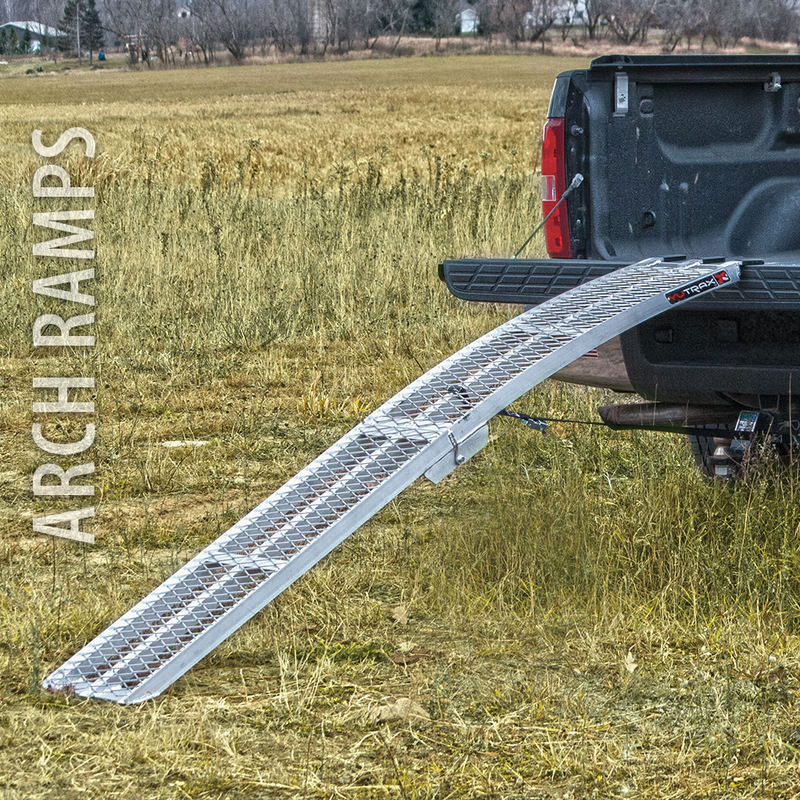 YUTRAX Arch Ramps are designed for easy loading of vehicles with lower clearance. The gradual arch design keeps these vehicles from bottoming-out or scraping on the edge of your tailgate. Our ramps are available in various lengths and hinged or unhinged designs. 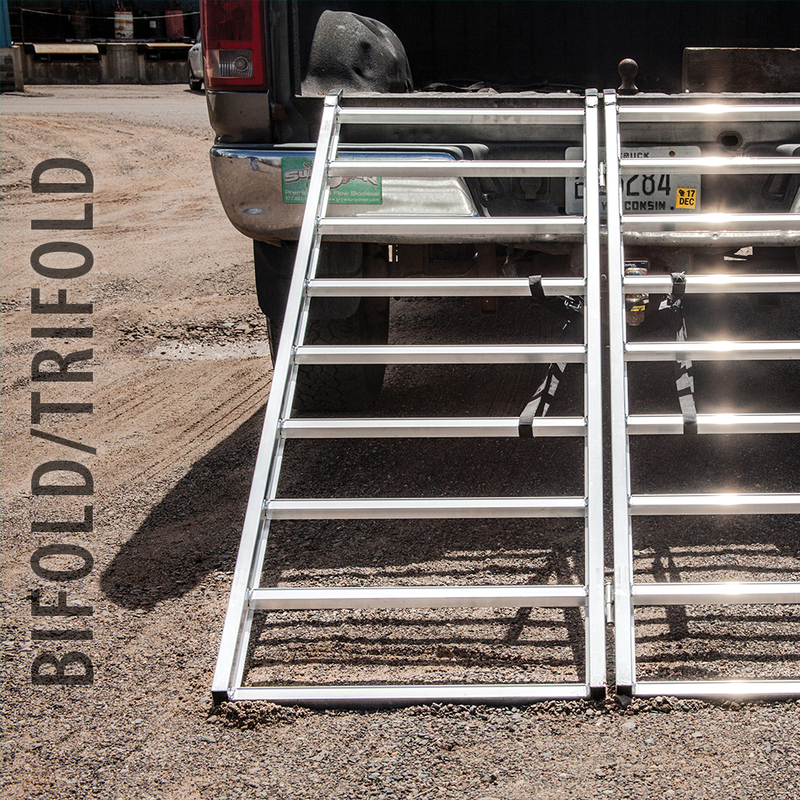 Our bi-fold and tri-fold ramps offer the stability and strength of a full-width ramp, but also fold up for easier storage and transportation. Their fully-welded construction and rectangular components make them highly durable, giving you peace of mind when loading and unloading your vehicle. 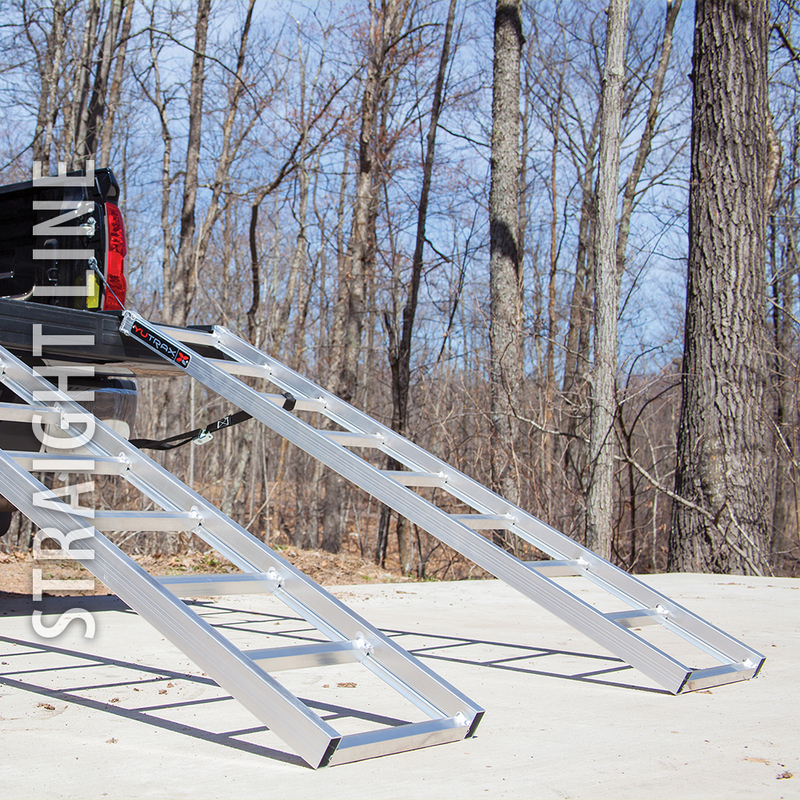 YUTRAX straight line ramps are lightweight and dependable. The ridged, fully-welded construction and rectangular rails and cross sections allow for higher loading capacity. You can trust these ramps to perform trip after trip, year after year.